Oh hell yes! With the insane man about our town- Bobby Soxx. I discovered her just this morning in one of my lectures and I'm not ****ting you, one of the most intense and ultimately inspiring (maybe even shocking!) discoveries I've made this year! One of the track titles: "Wild Women With Steak-Knives (The Homicidal Love Song For Solo Scream)"
You should check out Plague Mass. **** is lit. She rivals Mike Patton's extreme solo vocal performances, very strongly (though different). What a powerful voice! This is the kind of thing I wanted when I initially discovered Georges Aperghis' Recitations Cycle and Luciano Berio's Sequenza for voice (as much as I like them). 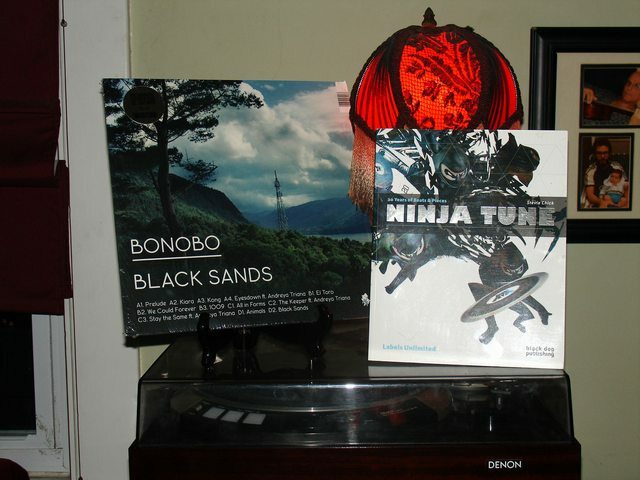 Bonobo on the turntable, Ninja Tune retrospective in hand. A fine morning, indeed! I guess you got to keep your lamp and turntable.